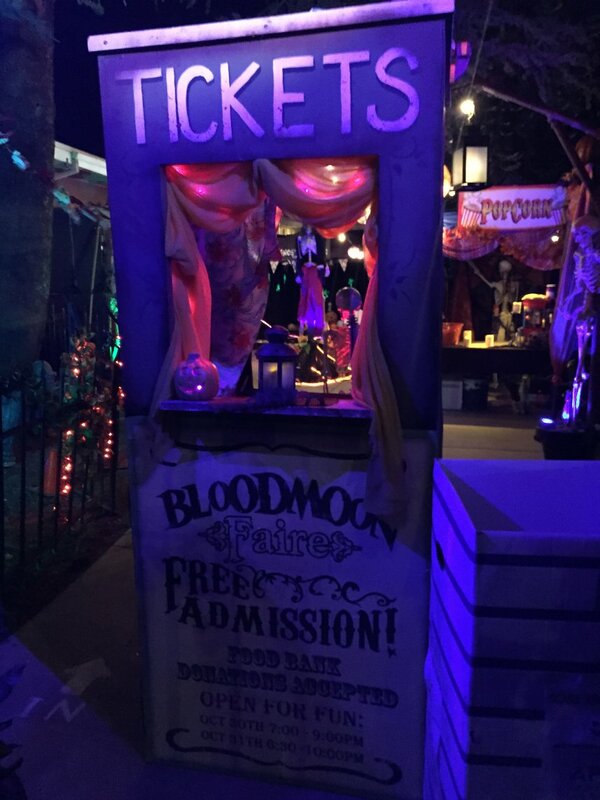 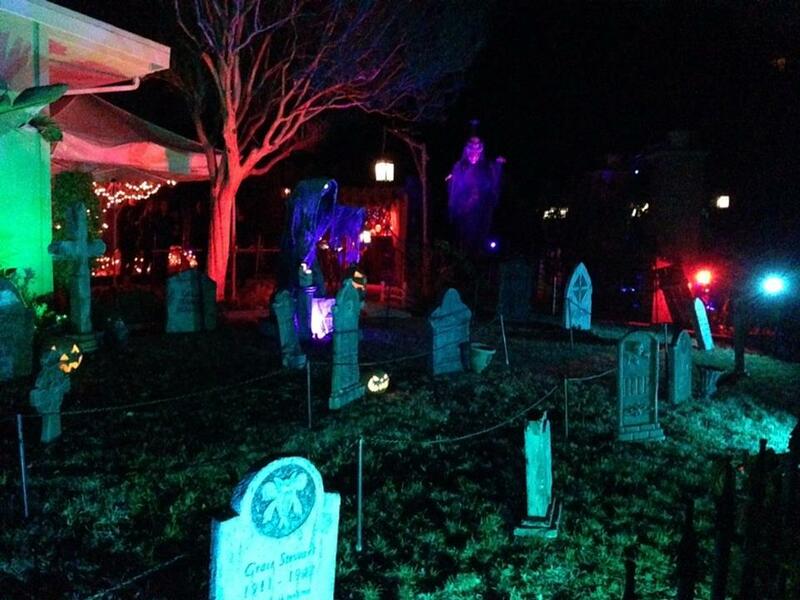 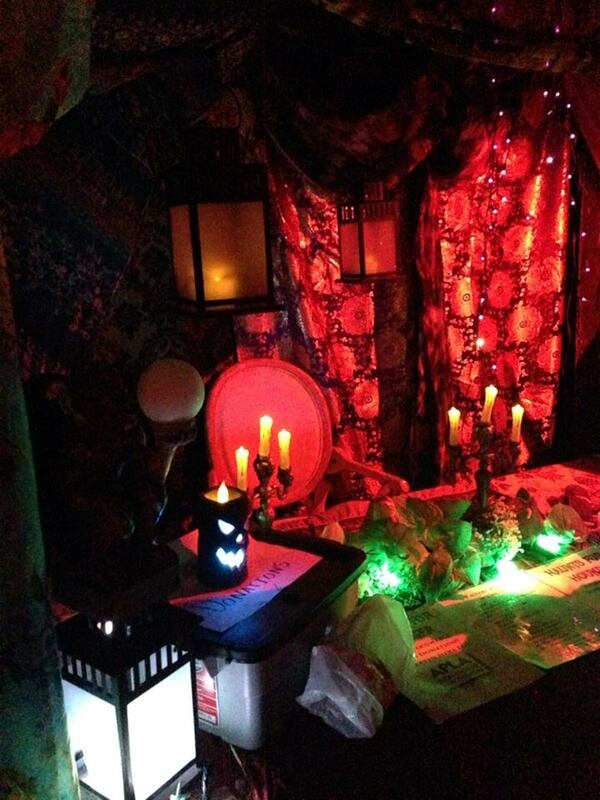 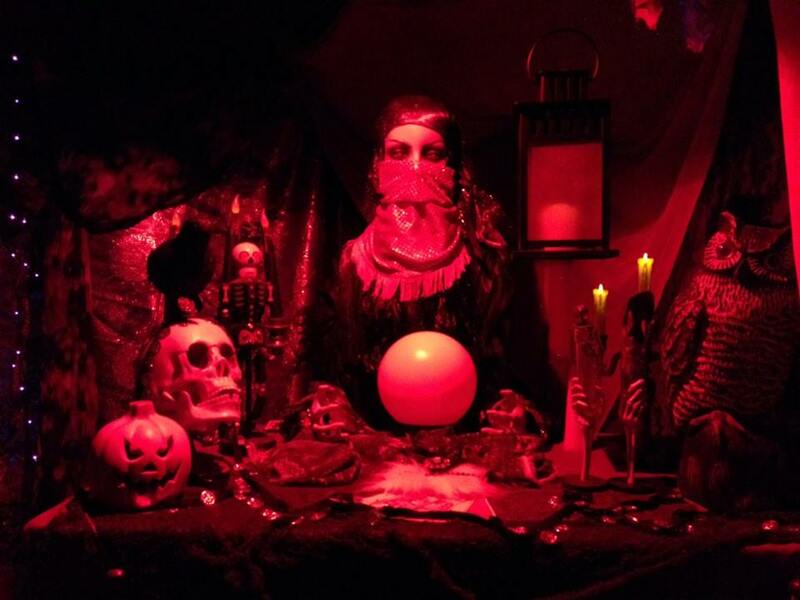 We have not visited the haunt in its new Sylmar location, but during at its North Hills location Gothic Hills Cemetery was highly recommended for its large, colorful yard display and mini-maze. 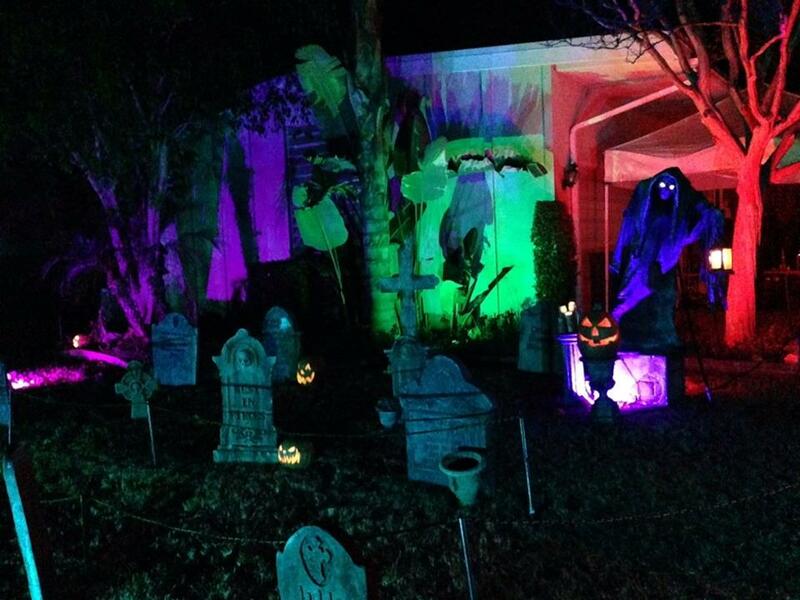 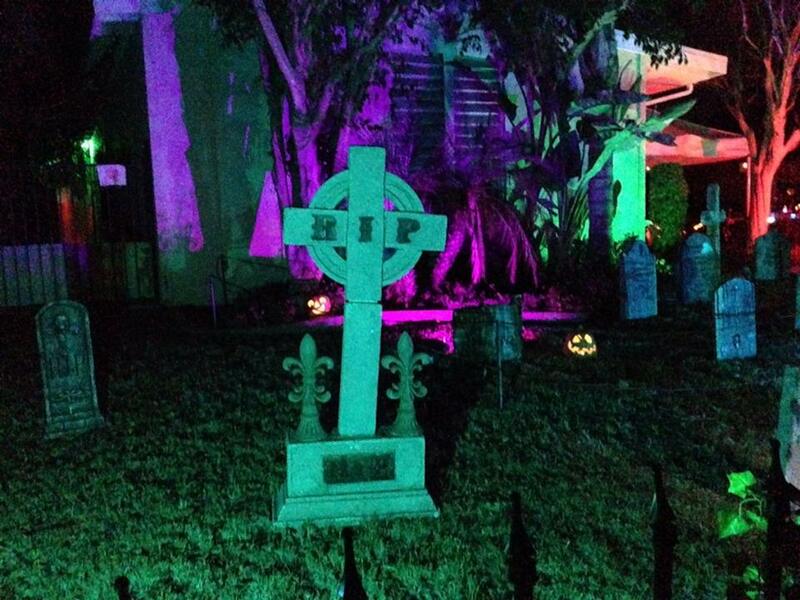 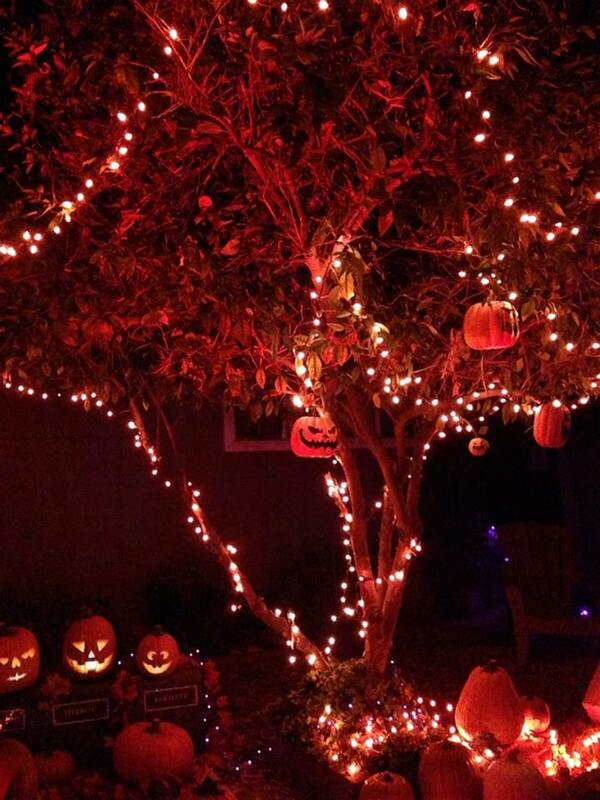 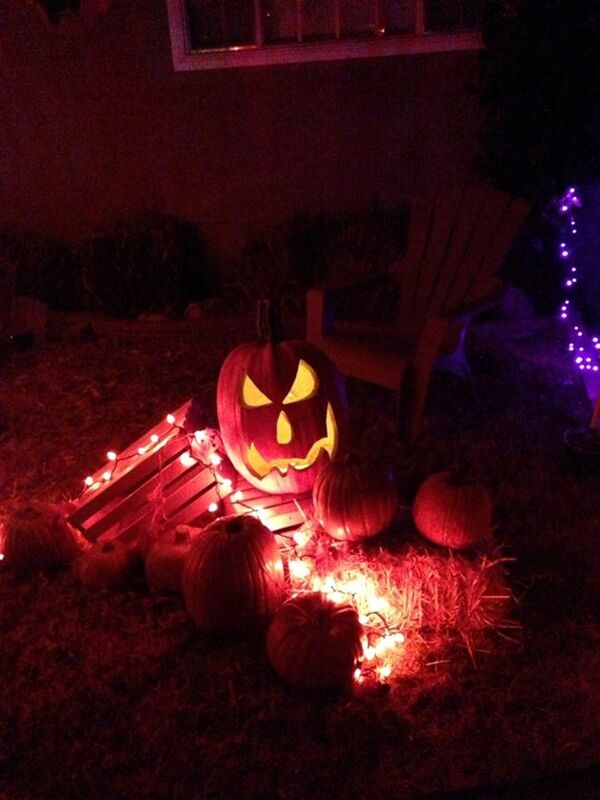 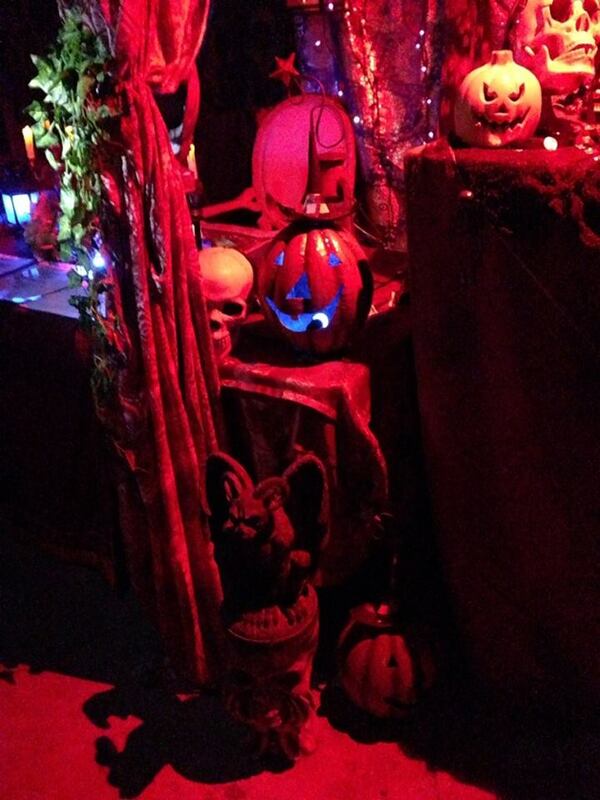 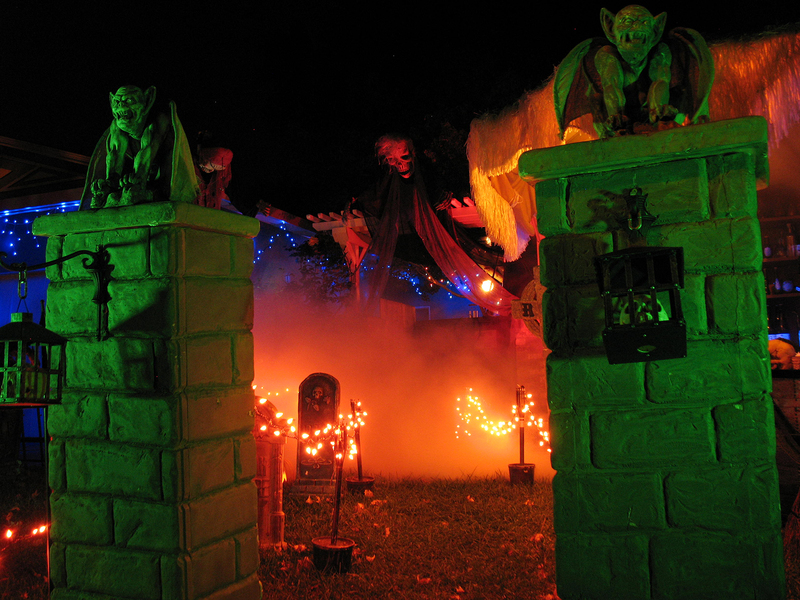 Gothic Hills offers a decorated yard display during the second half of October. 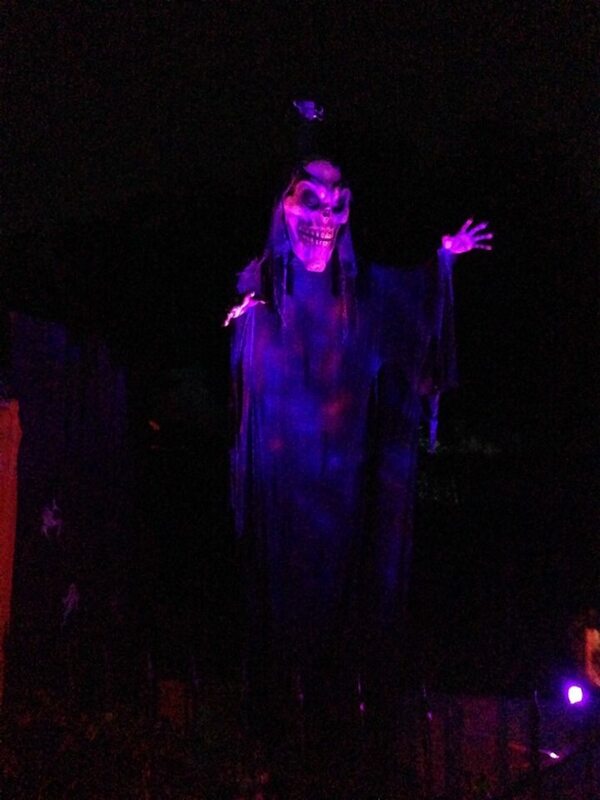 Invisible Halloween Haunt Updates - Revealed! 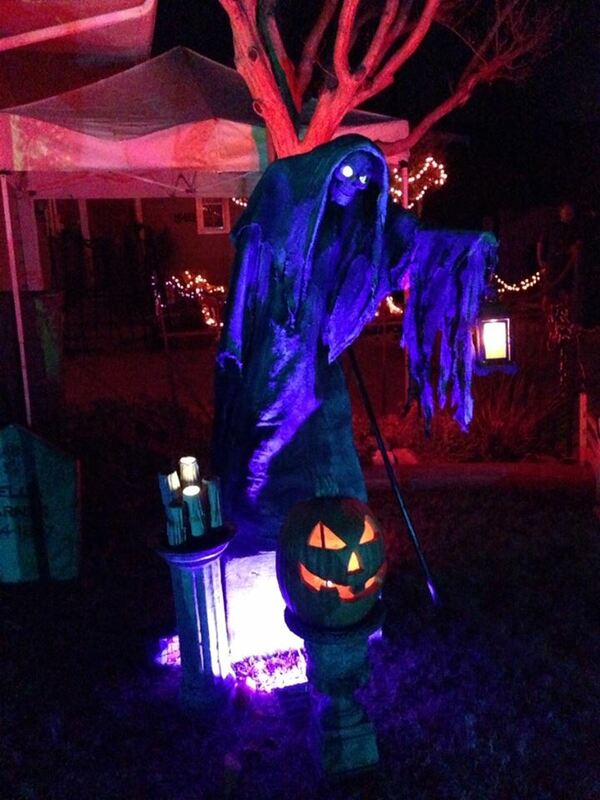 When located in North Hills, this Halloween home haunt offered a decorated yard and and a very impressive walk-through, with amazing decorations and effects. 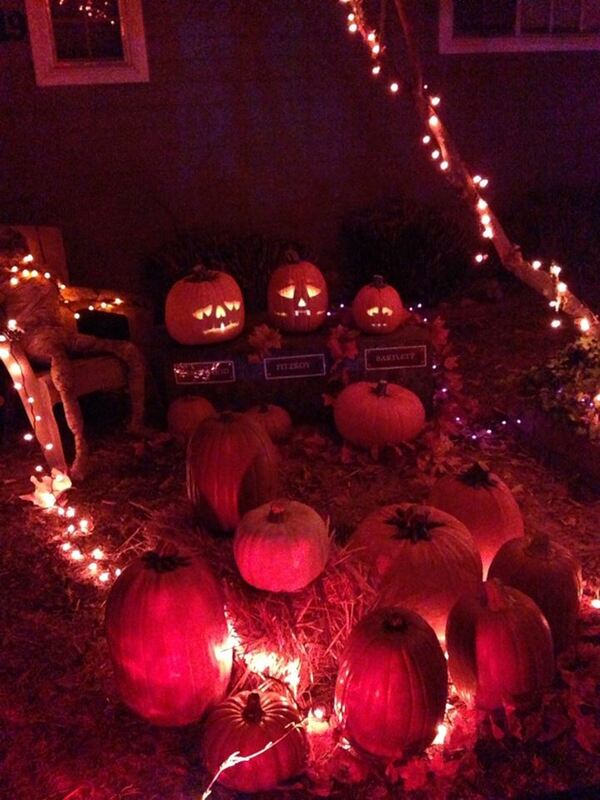 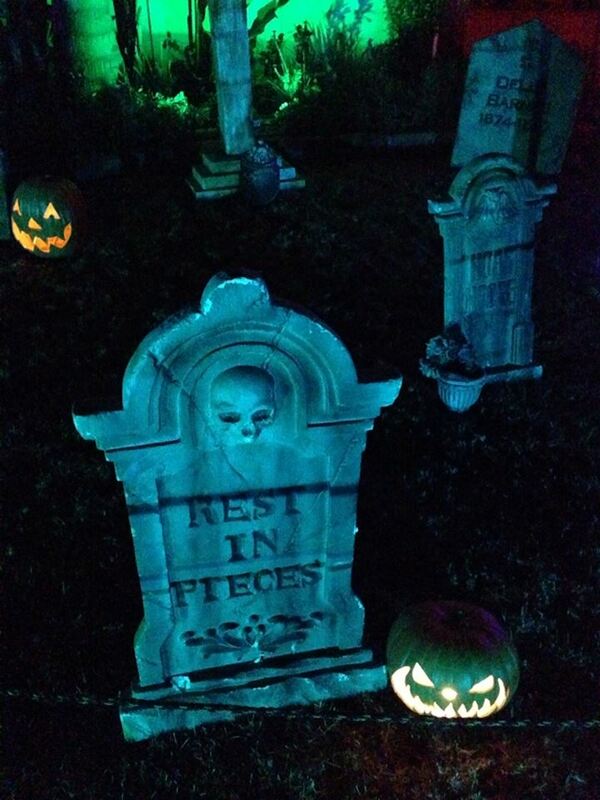 The yard display was beautiful, and the maze was fun - a search through a tomb for lost treasure. 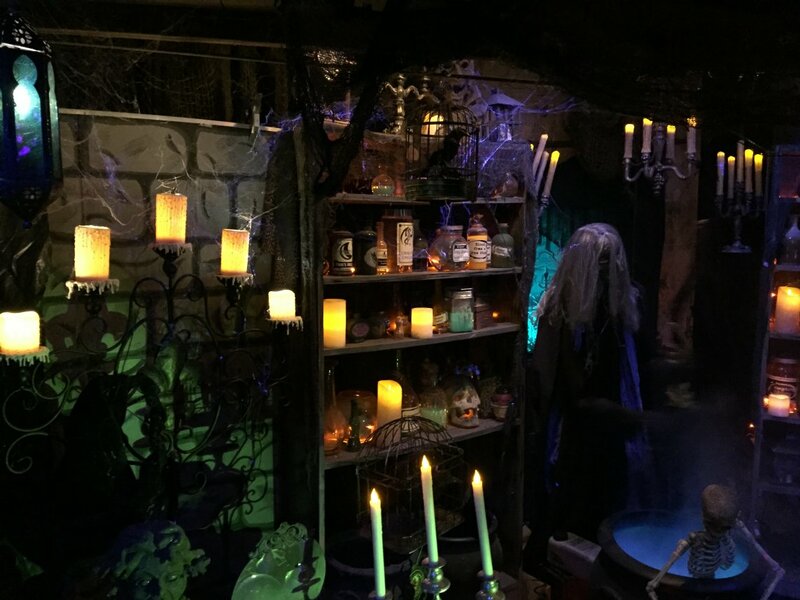 Jump-scares were relatively minimal; this was more like a guided tour with your host leading you on a treasure hunt and stopping here and there to show off effects, including a digitally projected witch who delivered an incantation and a mechanical monster guarding the treasure. 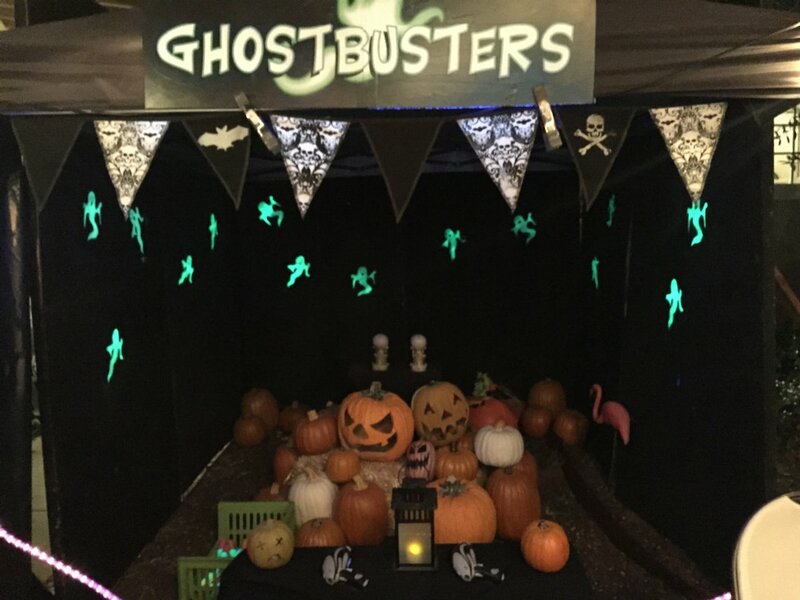 For Halloween 2017, the proprietors of Gothic Hills Cemetery moved from their old North Hills location to Sylmar, where they presented a simpler yard haunt and pumpkin patch for trick-or-treaters and guests on Halloween Night.